The former Persian Empire has a reputation which exudes glamour, mystery and the exotic with adventure around every corner. The countries known today as Turkey and Georgia were both formerly part of the Empire and despite gaining their independence have retained a sense of enigma and intrigue. Lying in close proximity to each other, a four week trip taking in the sights of both is the perfect combination. For travellers who are able to stay for longer, adding this trip with a tour around Armenia and Iran creates an even more fascinating route. Travelling across the country in a truck and camping out provides a very real experience of the country which you won’t get staying in hotels and luxury accommodation. The Grand Bazaar in Istanbul is a good place to start your journey; make sure you pack light as you will want to fill your rucksack with goodies from the shops! With around 4000 different sellers, there are not just tourist shops but places which the locals frequent too. 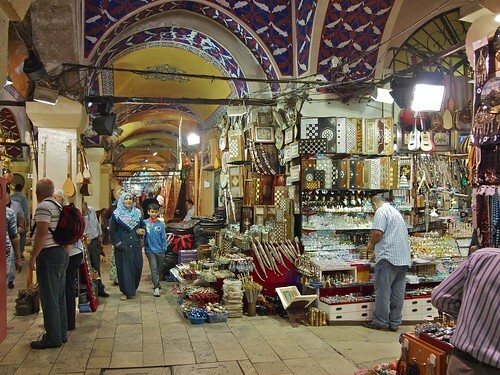 The largest covered market in the world, there’s a fascinating array of traditional Turkish crafts and foodstuffs. After filling your boots with buys from Istanbul, the Gallipoli peninsula is a convenient stop-off. A must-see destination, Gallipoli is famous for being one of Winston Churchill’s biggest military failures with Allied Forces withdrawing to the safety of Egypt after defeat by the Ottoman Empire in World War I.
Anzac Cove is a commemorative site for those that wish to pay their respects to the many soldiers on both sides that lost their lives in the bloody eight month long battle. As historical sites in Turkey go, a visit to the city of Troy is difficult to match. The site of the Trojan War in Greek mythology, and a source of much inspiration for classic works of Greek literature, not forgetting the legend of the Trojan Horse itself, Troy is now a popular archaeological site. If you fancy the chance to relax and recuperate during your travels, schedule in a trip to Pamukkale. Lying in the River Menderes Valley in the Inner Aegean, Pamukkale is a World Heritage site because of its natural hot springs. Visitors can bathe in the warm thermal waters, as locals have done for many thousands of years. Legend suggests that the underground cave which holds carbon dioxide gas, forced there by volcanic activity below the surface, was a frequent haunt for the god Pluto. The site was also apparently used for religious purposes by the priests of Cybele who managed to neutralise the deadly effects of the gas. But if it’s underground architecture that fascinates you, take a tour to Derinkuyu. An underground city of great magnitude, experts estimate it was created in the 7th century. A multi-level creation, there’s enough room for approximately 20,000 people and their livestock and supplies. With stone doors which close from the inside, the passages and tunnels extend to around 60 metres below the surface. 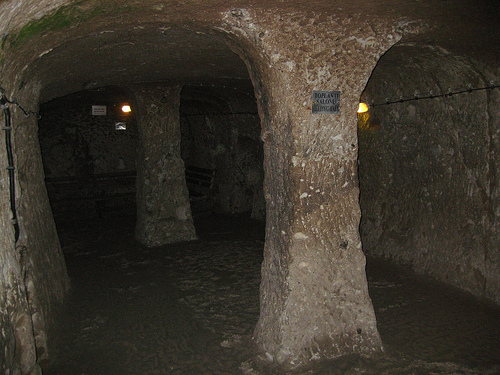 Around half of the underground city is currently accessible to tourists. A typical scene from Derinkuyu. After a fortnight enjoying the sights of Turkey, you can cross the border into Georgia and into a very different world. The coastal resort of Batumi is one of the first destinations arriving into the east side of Georgia, and is one of the most sophisticated regions in the country. The typically laid-back Georgian lifestyle has made way for a modern city, with a casino, a luxury hotel and very contemporary architecture transforming the skyline. With the investment which has poured into the area, it’s difficult to find many traces of the imperial Russian influences of yesteryear. But Batumi is the exception rather than the rule throughout the country. To understand Georgian life and the customs of the country, a trip to the Open Air Museum of Ethnography is a good place to start. An exploration of traditional Georgian life, the museum stretches out over 50 hectares on the hillside overlooking Vake Park, with more than 70 buildings and 8000 artefacts exhibited. With ceramics, costumes and tools, the museum shows the differences in life around the country and how it’s changed. There are a great number of museums and historic sites to visit in Georgia, such as the rather disturbing Stalin Museum containing one of the dictator’s actual death masks, and the Tbilisi War Museum. On the west side of the country, there’s a refreshing change from the military exhibitions. The Gelati Monastery is a World Heritage Site and on the list of the 100 Most Endangered Sites because of its deterioration caused by neglect. 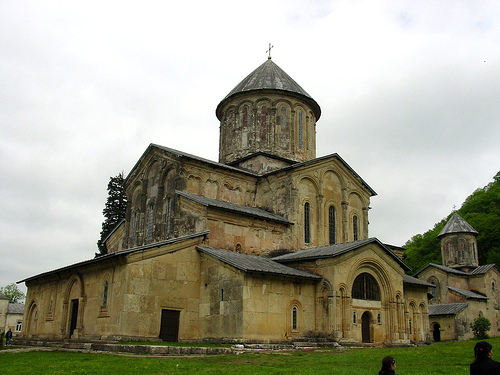 A monastic complex, the body of one of arguably the greatest Georgian Kings, David the Builder, is buried here. With murals and manuscripts dating back as far as the 12th century, the site is a fascinating and tranquil place to visit. On the eastern part of Georgia there’s an equally fascinating complex, known as the Church of the Archangels where the remains of a secret tunnel down to the nearby river can be seen. The church is strongly influenced by Iranian architecture, but incorporates Georgian masonry. Taking a tour of the whole region is a great way to see how the architecture of many of the countries combines to create stunning results. The country itself is like stepping back in time before technology dominated every encounter, and the stunning landscape deserves time devoted solely to getting out amongst nature. The Lagodekhi Reserve on the far east of Georgia is the oldest in the entire Caucasus region. Reaching up to the dizzy height of 3500 metres above sea level, there’s a huge range of terrains to explore. From frozen tundra to lush alpine forests, there are also meadows, lakes and floodplains. Visitors enjoy a range of activities such as camping in the mountains, bird watching, photography and fishing, all set in some of the most breath-taking scenery in Asia. Gurgeniani and Shromiskhevi Waterfalls are popular places to hike to within the reserve with virgin forests and mineral springs en route. Black Cliff Lake, with its crystal clear glacial waters, is another tourist hot spot, but due to the remote location you won’t be inundated with crowds of people no matter when you travel. Turkey and Georgia offer travellers the chance to experience a very different view of the countries, away from the tourist traps in the main cities. Seeing the landscape, people and culture on an extended trip will create some fabulous memories that you won’t ever forget. There are lots more to see in the region too, with expeditions to Beijing as well as many other countries in the nation. Hop on and off organised tours to fit in with the time you have available and you are guaranteed to have a breath-taking experience.